The phenomenal penetration of the chirraly correct and natural skin brighteners in this product make photo damage and ageing skin a thing of the past. Proper penetration is the key, and the inconsequential epidermis is not what needs attention. The dermal level is what needs tot be addressed as miniscule scar tissue builds up and skin clarity and brightness is compromised. 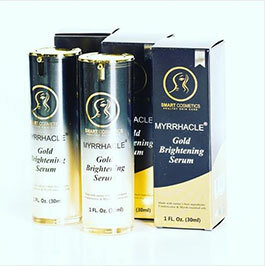 We have formulated a product that does in fact penetrate fully into the dermal layer, and natural skin brighteners that have been clinically proven to be more effective than hydroquinone restore damaged cells to their more youthful integrity for a younger, more even toned complexion. Safe for daily use and for pregnant women.